Storage giant WD has made decent strides to infiltrate the DIY PC market by releasing a range of high-performance NVMe drives. 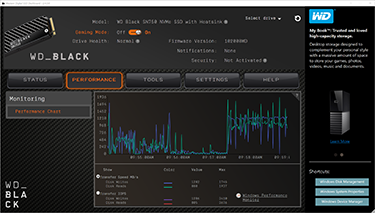 2018's Black NVMe raised the bar, followed by a revised SN750 at the turn of this year. Filling out the mainstream market, the SN500 offers a very attractive price-to-performance ratio. WD has something for everyone, it seems. Yet the SN750 is available in a couple of different flavours. 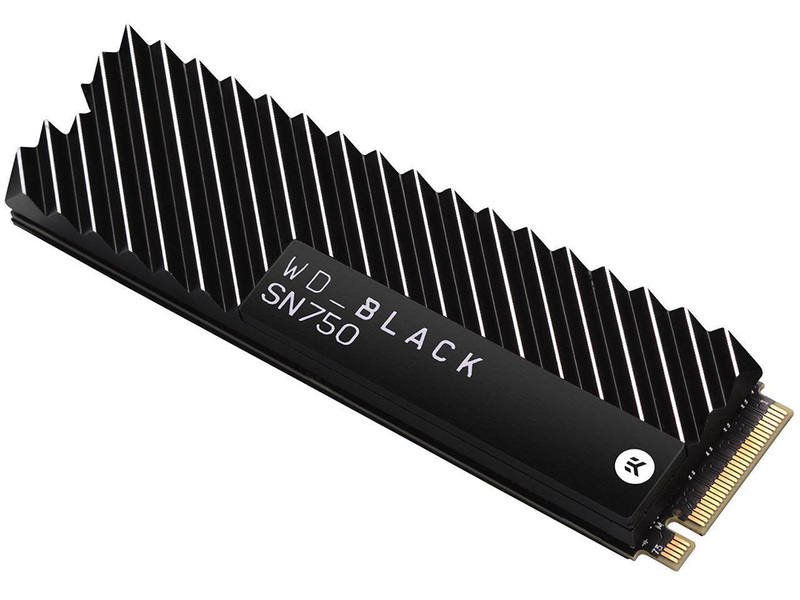 The standard NVMe drive runs in 250GB, 500GB, 1TB and 2TB models, all of which are speedy, but for a small premium, WD also offers the 500GB-2TB SKUs with an EKWB-designed heatsink in place. We're going to find out whether WD's pandering to aesthetics or if there's genuine utility in a heatsink-clad version. The vital specs don't give much away. Neither should they, because the underlying SN750 is exactly the same for both the heatsink and standard drives. That means an in-house-designed controller allied to fast SanDisk 64-layer 3D NAND, all connecting to the system via the usual PCIe 3.0 x4 interface. It's important to understand that no meaningful metric changes between iterations. 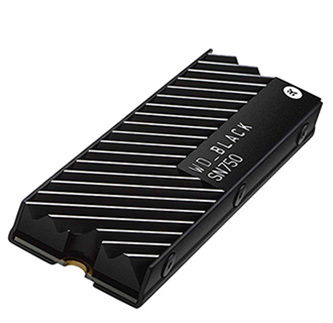 Going by WD's official pricing, adding the heatsink inflates the price of the drive by £15, £16, and and £24 for the 500GB, 1TB, and 2TB models, respectively. In the interests of consistency, WD ought to have kept a standard £15 premium across the range. But that EKWB heatsink sure does look good in the flesh. The silver and black trim contrasts well, and it feels like a quality bit of kit. The design is not a mere slapping of some metal on the drive. Rather, 21 fins of varying lengths increase the cooling surface area on the top, six small Hex screws hold it in place on the sides, while the bottom has a thin aluminium plate that curves to meet the top. The physical changes are modest, but the heatsink models stands at 8.1mm tall and 24.2mm wide, compared to 2.4mm and 22mm for the base drive. It still fits into the standard 2280 form factor, of course, and there's adequate room to screw it into the holding position on the motherboard. For what it's worth, weight goes up from 7.5g to 33g. More importantly, did we say it looks good? 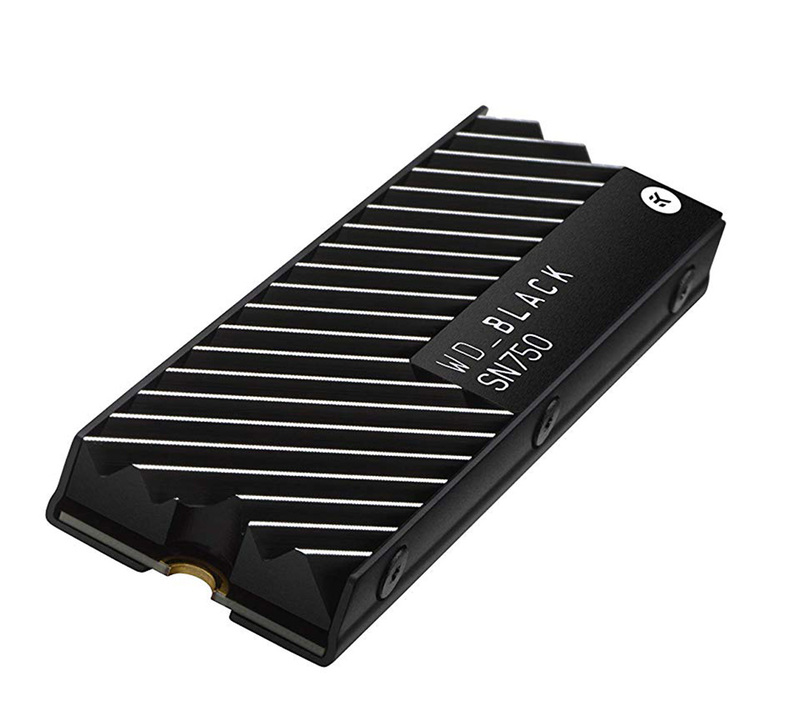 EK itself sells M.2 NVMe heatsinks for around a tenner, others start at just a fiver, though the SN750's appears to be unique to WD. Underneath, thin thermal pads make good contact with the controller and NAND. WD reckons that activating its Gaming Mode, which removes the low-power states for ostensibly decreased latency, is best used with the heatsink version of the drive, so there is some logic in opting for this model, especially if going bigger on the capacity. 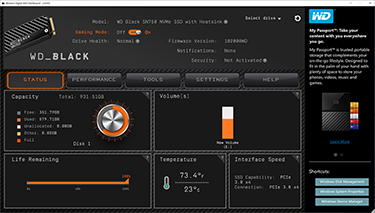 WD's accompanying software is, like the drive, easy on the eye, intuitive, and has the key features we would expect, including general monitoring and the ability to sanitise and secure-erase, though with the requirement that you create a bootable USB disk for either function. WD also includes a branded version of Acronis True Image for simple migration and backup of data. 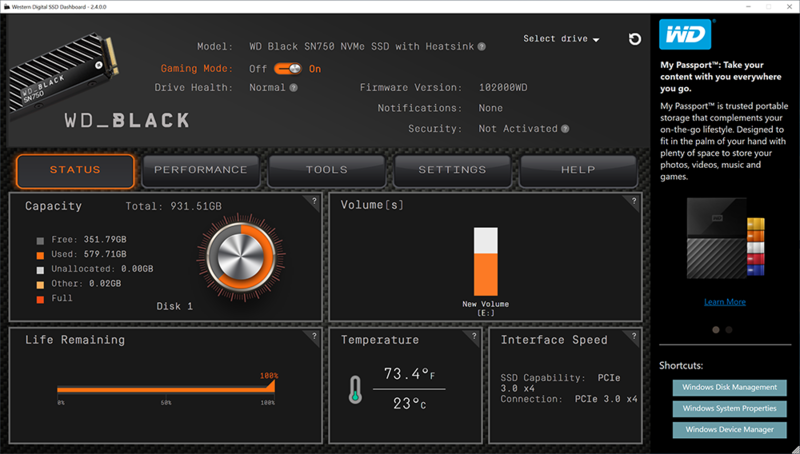 Let's now see how the 1TB heatsink-clad version performs.